Woodmen Nissan in Colorado Springs serves the Monument area. Why do so many take the short drive down 87 to see us at Woodmen Nissan? Partly, it’s because we have the best deals on new Nissans and quality used and certified cars and trucks. Mostly, though, it’s because our valued lifelong customers have learned that they will get more than a fair deal at Woodmen Nissan, they’ll get a commitment to quality service that goes far beyond their purchase. At Woodmen Nissan, you can expect us to treat you the way we would like to be treated, like an old friend. 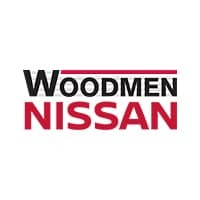 Our friendly sales staff and experienced service staff work together to make sure that everyone who does business with Woodmen Nissan knows that we stand by the vehicles we sell and the customers who buy them. We have a full selection of new Nissans at Woodmen Nissan. With over 200 new cars on our lot, we have a vehicle for every new car buyer. We have a wide selection of Nissan Pathfinder, Murano, Altima, JUKE, Rogue, Frontier and more — and if we don’t have the exact Nissan with the options you’re looking for, we’ll get it fast. If you’re in the market for a used car in Colorado, you’ve come to the right place. We have over 1,000 used cars, including many certified cars – one of the biggest selections in the state. Our sales and financing staff will get you behind the wheel of a quality vehicle and, what’s more, we’ll take the stress out of the used car buying experience. Come see why so many in the Monument area keep coming back for the world class service and quality used cars at Woodmen Nissan. All vehicles need service and maintenance and having the right service professionals taking care of your car or truck can make all the difference in how much life you get out of your vehicle. Any salesman can earn a car buyer’s business once, but it takes a truly top-notch service department to keep car buyers coming back. The service pros at Woodmen Nissan are an integral part of our business, keeping our customers’ vehicles in top shape so they’ll be on the road longer and bring in top trade in dollar when it’s time to get a new vehicle. Whether you have A-1 credit or need a little extra help to get financed, Woodmen Nissan’s finance department can help you get the best auto loans available. We put in the extra work for our customers to make sure we get you the most competitive financing rate available for your situation. Additionally, we offer a number of attractive lease options. Good credit, struggling credit or no credit established yet, our finance department can help get you behind the wheel of a new Nissan or quality used vehicle. Woodmen Nissan is in northern Colorado Springs, just south of the Air Force Academy, just off Interstate 25, a short 14-minute drive from Monument. Stop by our showroom today, browse our selection online or give us a call to set up an appointment to test drive the Nissan of your choice. Come experience the difference that keeps so many from Monument coming back. From the time you step onto the lot through the entire car buying and ownership experience, you truly come first at Woodmen Nissan.